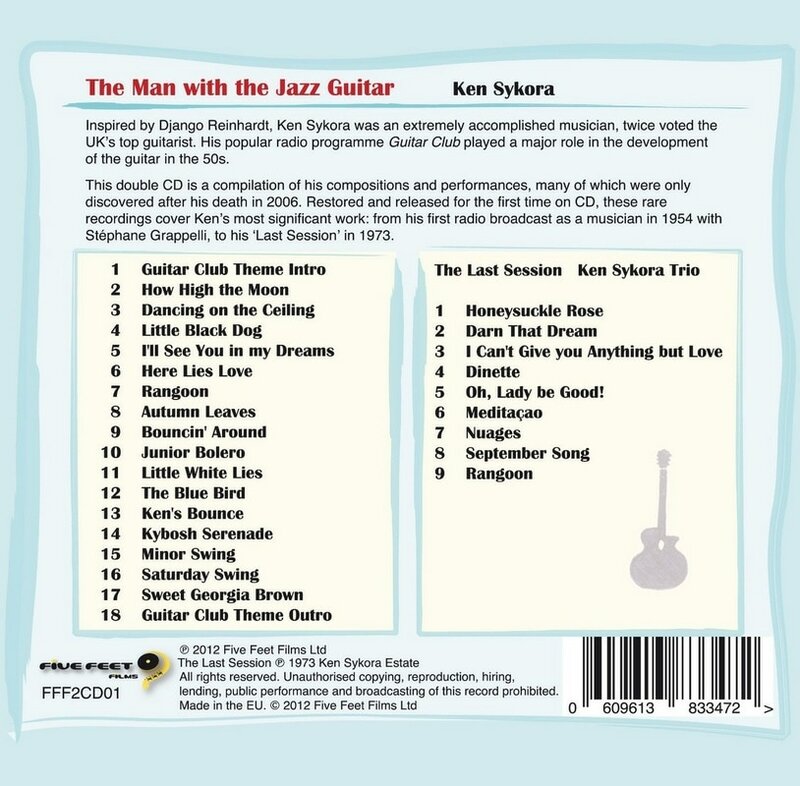 You can discover the beautiful, timeless music of Ken Sykora on a double CD featuring 27 tracks, titled The Man with the Jazz Guitar. Restored and released for the first time on CD, these rare recordings cover Ken's most significant work: from his first radio broadcast as a musician in 1954 with Stéphane Grappelli, to his 'Last Session' in 1973. The first CD is a compilation of 18 tracks featuring performances found in Ken’s archive, including 9 of his own compositions. The 2nd CD is called ‘The Last Session’. 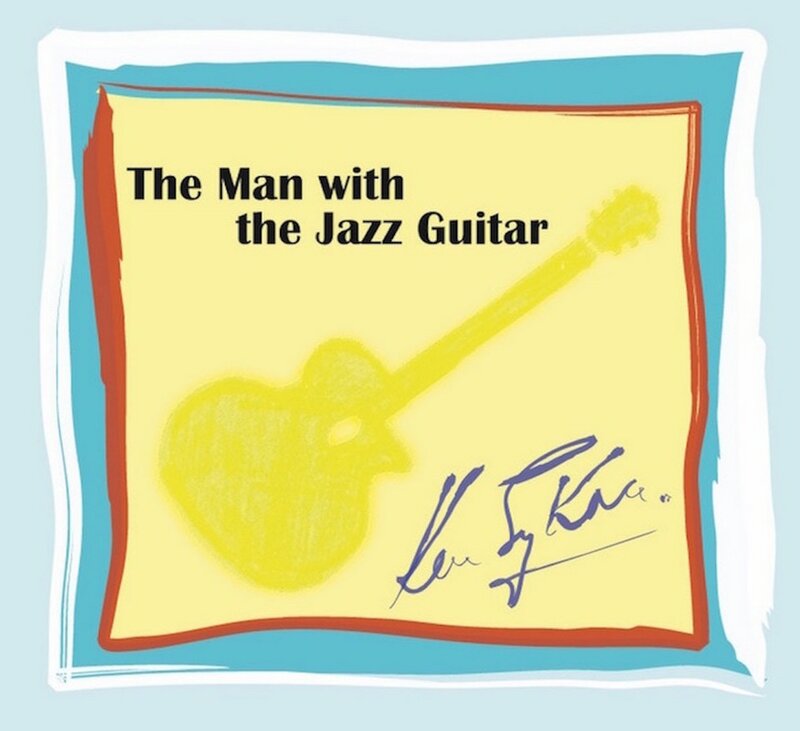 It is a beautiful set of jazz classics recorded in Glasgow in 1973 and performed by the Ken Sykora Trio, Ken’s last known recording and arguably his finest. This limited edition double CD also contains a 16 page booklet with Ken's biography, photographs and the stories behind the tracks. This CD is a small contribution to the safeguarding of Ken's musical heritage and a fitting tribute to his music. 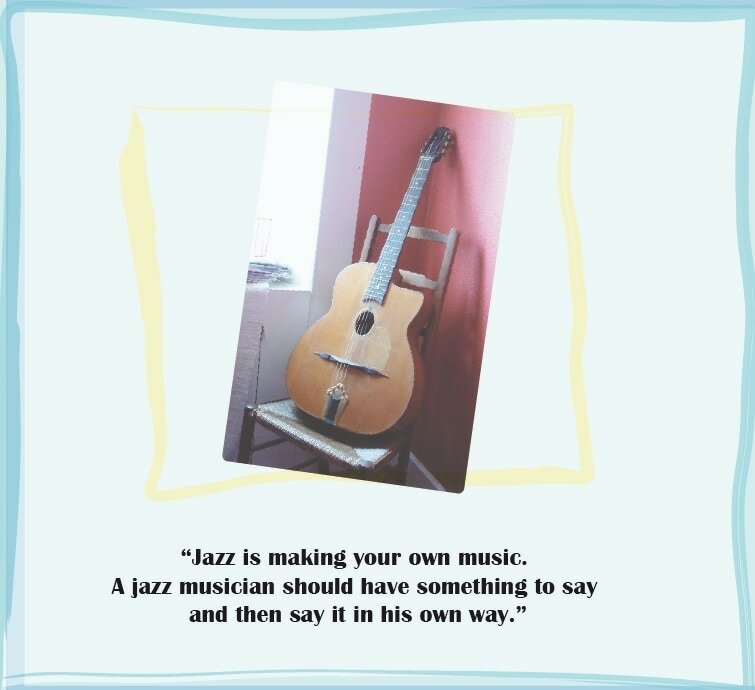 The Man with the Jazz Guitar is also available on all digital music platforms.